Sharp Dressed Man is dedicated to empowering men to improve their lives through professional presentation. We provide recycled suits for job interviews to men actively engaged in a workforce development program with various organizations throughout the Baltimore area. Sharp Dressed Man was founded by a partnership between the Baltimore Fashion Alliance and the Living Classrooms Foundation in 2011 to support men re-entering the workforce. We established an independent clothing boutique in downtown Baltimore at 235 Park Ave in December 2015, and since then have created connections with over a dozen agencies, instituting a referral process. We have moved around a little bit, but recently found a new home at 529 Old Town Mall. We equip men who are ready for work with a one on one styling experience resulting in a hand selected suit and accessories to wear to interviews among other occasions. Often an appropriate, business-professional outfit can be the last obstacle standing between men who have completed work training and employment. Our program closes the gap between being prepared with skills for a new job and "looking the part" to get in the door for an interview. We are much more than a clothing closet - our volunteer team of stylists ensure every participant leaves looking and feeling their absolute best. Program participants report a significant boost in their confidence and composure, giving them the power to present their best selves to future employers and continue on the journey to success. We believe a change of clothes changes lives. We at Sharp Dressed Man know that finding the right way to give back can be difficult as many people have tight schedules to work around. That’s why we offer more than one way to participate! Christopher learned the art of measuring & design while living in London, a city that had a profound effect on his life. While immersed in the English culture, he absorbed the sensibilities of some of the world's best clothiers while being trained in the skills he would need to execute his own vision of the classic English style. During his time in London, Christopher would frequently visit Saville Row and Jermyn Street to observe and be inspired. The end result was a new approach to men's clothing that blends European style and fit with a modern attention to detail, clean, understated lines, and comfort. This formula produces fashionable, fitted and comfortable clothing that you will love to wear. 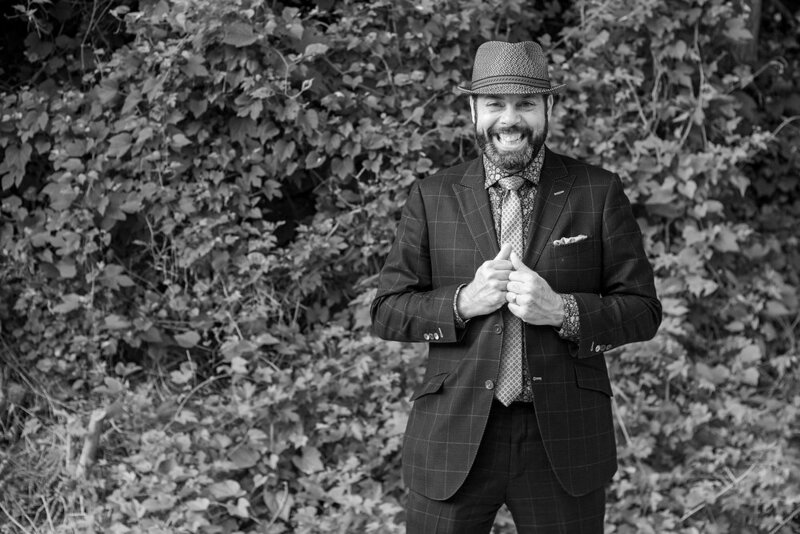 Seth has been surrounded by the custom suit business since childhood, wearing his first custom suit at a young age as he accompanied his father to various events. Seth visited frequently with Christopher in London, gaining immediate first-hand experience with classic men's tailoring and fashion. Joining his father's business in 2013, Seth quickly made his own mark - after helping the team to win RAW Awards Baltimore's Best Fashion Designers in 2013, Seth was honored with Baltimore Business Journal's "30 Under 30" award in 2015.